This entry was posted on February 12, 2014 by Avel Ureno. The United States has been struck by one of the harshest winters in recent memory. While it’s important to make sure that you’re being safe, it’s also important to ensure that you are properly caring for your electronics during this extremely cold season. Although not a lot of people seem to realize it, cold weather can have a very adverse effect on your electronics. The cold can zap your battery, mess up your screen, and condensation can even cause permanent damage to your phone. However, no one has to be at the mercy of the elements. There are plenty of ways to ensure that you are effectively caring for your electronics during cold weather. Here are five tips to keep your electronics safe this winter. While this may be a no-brainer to some, a lot of people do have a habit of leaving their electronics in the car. Why wouldn’t they? Most of the time, it doesn’t have a negative effect… most of time. However, in cold weather, leaving your electronics in the car can have a very bad outcome. A cold car can reduce the overall effectiveness of the battery. The cold actually slows down the electrical current in the battery; this causes the device to lose charge much more quickly than in normal temperatures. It isn’t uncommon to see people walking about with a phone that has a cracked screen. While this is already a bad idea, it’s an even worse idea when the weather gets cold. If you’ve ever had a cracked windshield, you would have noticed that in the cold weather, this crack unfortunately expanded. Well, the same thing happens to the glass on your phone screen. If your phone already has a crack in it and you apply just a bit too much pressure, it’s very possible that the crack will expand or even endure more breaks. Working with a cracked screen is dangerous and shouldn’t be done under any circumstance. As mentioned previously, the cold has a way of slowing the electrical current in your device’s battery and can have negative long term effects. In order to prevent this, constantly charge your phone until it’s fully charged. This keeps an electrical current running through the phone and provides enough warmth for it to continue to work properly. 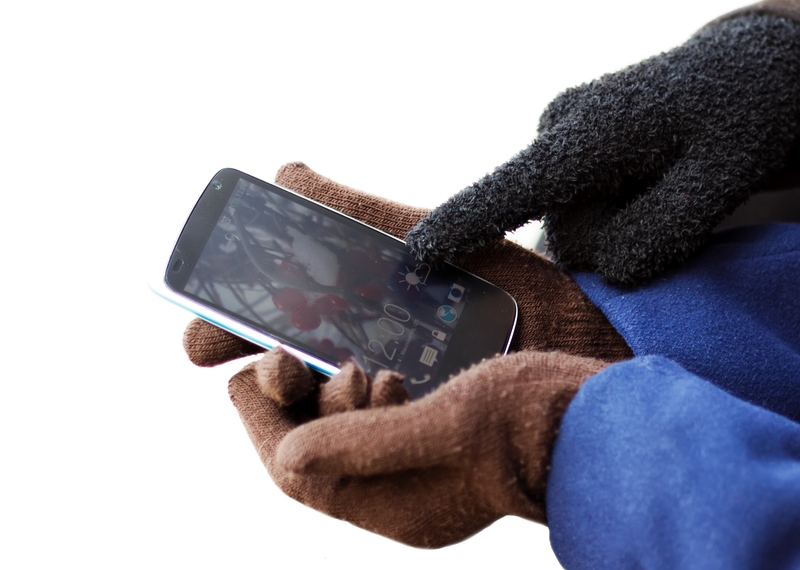 Lastly, you want to make sure that your device is fully protected from the elements. Wearing your portable gaming system around your neck or keeping your phone in your hand can have negative effects as they are completely disposed to to the cold temperatures. In addition to this draining the battery, the cold may also produce condensation on or inside of your device. This is the equivalent of dropping your device in a puddle of water and could ultimately result in a non-functioning electronic. As the incredibly cold winter continues to linger on, follow these simple tips to ensure your electronics stay safe through the season.